When you have a shop front with a lot of glass in the middle then you have limited fixing points for an awning. The solution is to install an end fixed awning that can be firmly installed either side of the glass. 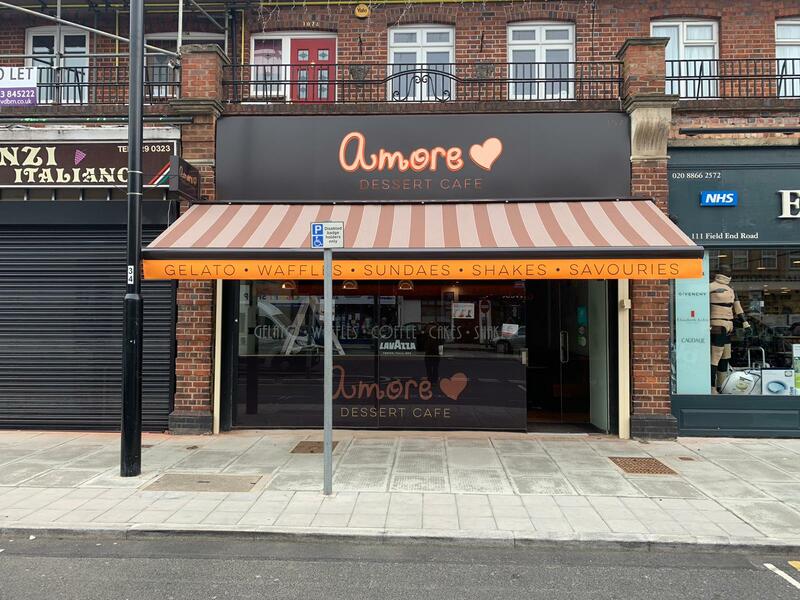 This is what we did for Amore in North West London. 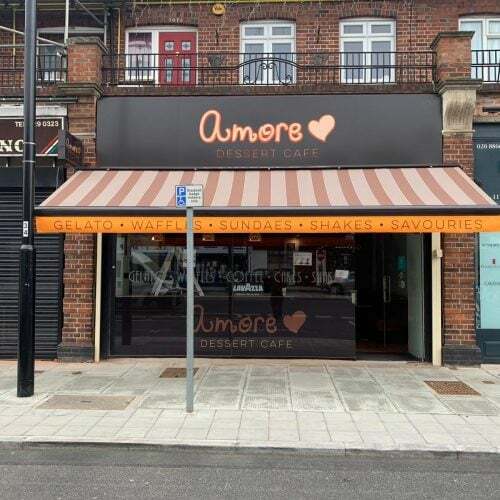 The awning framework has been powder coated to the clients colour specification and the sign writing carried out by our in house Awning Graphic department. Get in touch today if you need advise on awning is right for you.